Paul Stapleton is a native of Southern California who began lecturing at Queen’s University Belfast in 2007. 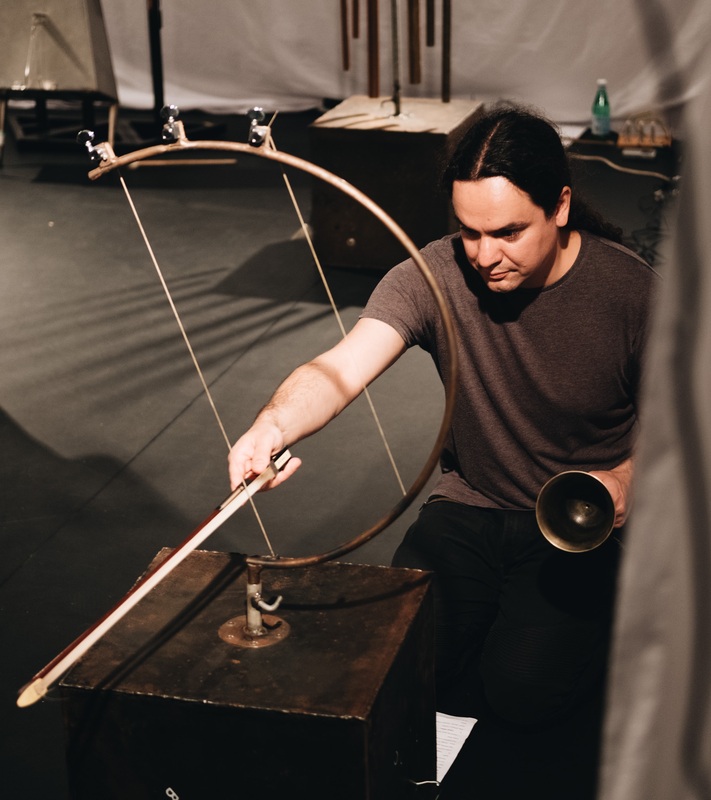 He is Professor of Music at the Sonic Arts Research Centre (SARC), where he conducts research in the areas of new musical instrument design, music performance, sound design, and critical improvisation studies. Paul designs and performs with a variety of modular metallic sound sculptures, custom made electronics, found objects and electric guitars in locations ranging from Echtzeitmusik venues in Berlin to remote beaches on Vancouver Island. His composition and sound design work as part of the immersive audio-theatre piece Reassembled, Slightly Askew has received widespread critical acclaim, including 4-star reviews in The Guardian, Time Out London, and London Evening Standard, and has touring internationally in both artistic and medical training contexts (e.g. SummerWorks Performance Festival in Toronto, and the Brain Injury Research Center of Mount Sinai in New York City). Paul was Co-I for the recently completed AHRC funded network Humanising Algorithmic Listening, and has led a number of previous AHRC and European Commission funded interdisciplinary research projects on topics ranging from the relationship between music improvisation and law, to the development of new methods for studying social interaction and entrainment in music performance. He has held a Visiting Scholar position at the Center for Computer Research in Music and Acoustics at Stanford University, and regularly gives invited keynotes and workshops at international conferences and festivals (e.g. Art, Body and New Technologies 2016 colloquium at Universidad de Chile, and Resonate 2017 technology in art and music festival in Belgrade). He is a regular contributor and committee member for the International Conference on New Interfaces for Musical Expression (NIME), and frequently performs and records with his own instrument designs in collaboration with professional improvising musicians in Europe and North America. His album FAUNA (2013) with saxophonist Simon Rose has received acclaim from music critics such as Ken Waxman (Jazzword), Mark Corroto (All About Jazz), and Marc Medwin (New York City Jazz Record). Additional notable collaborations include: a networked distributed instrument Ambiguous Devices with Tom Davis; new music for the performance of Irish poetry with Steve Davis and The Lyric Theatre; a virtual acoustic instrument VASPBI with Maarten Van Walstijn and Sandor Mehes; studies on sonification feedback in motor skill learning with Matthew Rodger and John Dyer; and co-direction of the Translating Improvisation research group with Sara Ramshaw.